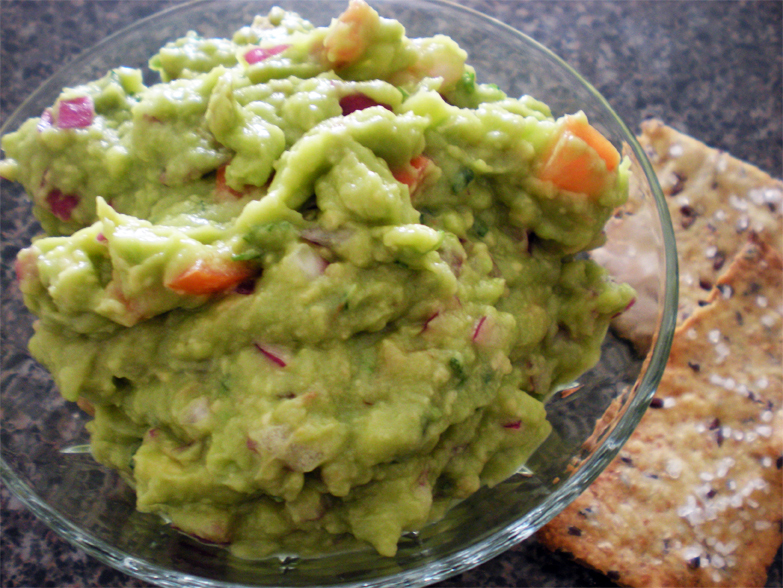 Avocado dip is perfect to eat during the hot summer months. It’s cool, refreshing, healthy and tasty. It’s easy to whip up and you can eat it on anything you fancy: wraps, sandwiches, pastas or just dip some crackers in it. I made this dip right after I made Olive Oil and Flaxseed Crackers because they go so well together. Slice the avocados in half all the way around. Twist and separate the two halves and take out the seed. Spoon out the flesh into a small bowl and mash as needed, into a slightly chunky paste. Take half a medium sized tomato and half a medium sized red onion and chop them up small. Add them to the avocado. Grate 1 clove of garlic into the mixture. Chop up about a handful of fresh parsley leaves and throw those in too. Add a tablespoon of extra virgin olive oil, a dash of salt and a squeeze of lemon juice in and mix everything together. Gorgeous – am an avocado addict! 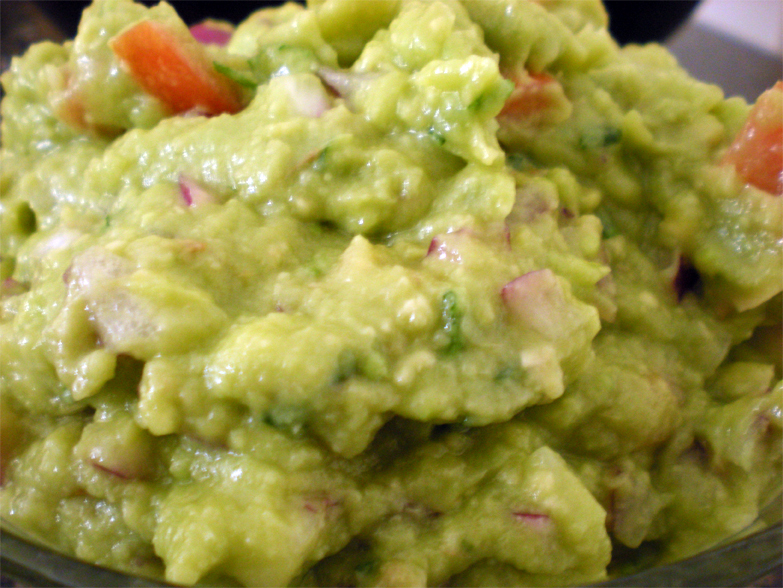 Avocados are 25 cents at my farmer’s market, so I will have to pick some up this weekend! I’m so glad you liked my post so that I could discover your blog. I looked through your 5 most recent posts and wanted to eat every single thing you made. Love this! I recently got my eleven-year-old to try guacamole, and he is sooo in love with it.